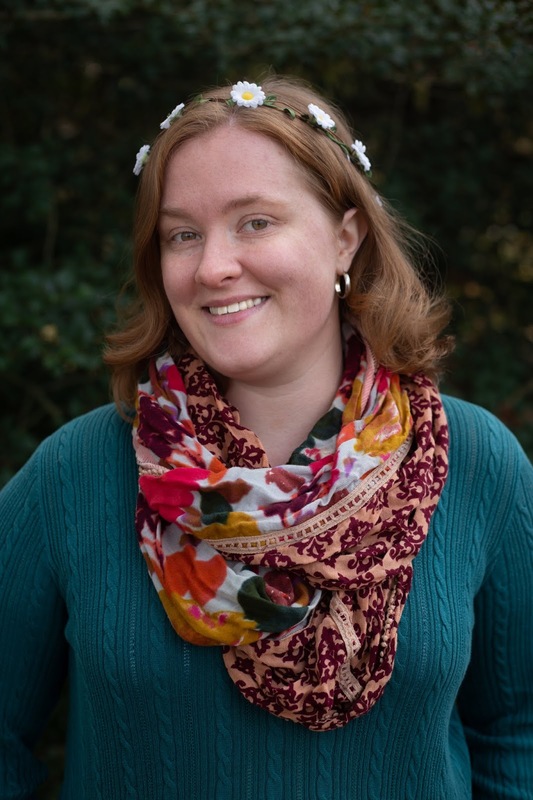 Today I welcome K. Parr to the blog to answer a few questions for Author Interview³. 1.) My first piece of writing was a story called Pie World that I wrote and illustrated when I was in kindergarten/first grade. The premise? Cavemen were hungry, and discovered that when they said the word ‘pie,’ a pie would fall from the sky and splat on their faces—thus curing them of their hunger! 2.) I hashed out many details of The Sun and Moon beneath the Stars on the swing-set in my backyard, talking aloud to myself! 3.) Fanfiction was my gateway to writing queer romance—and today I have written about 700,000 words of queer fanfic! These are 3 of my favourite recently read books that make me very happy! I write best anywhere I can be alone with my music and my story. My apartment works, and I enjoy sitting outside when I can! Writing retreats are also lovely, as it’s invigorating to be around other writers. I’d love to get into Entangled Publishing and Carina Press, especially with M/M or F/F romances. I’d like to try writing science fiction as well—I read a lot of it, but I’m kind of scared to write my own! 1.) Write! Get out your first drafts no matter how crappy. 2.) Find writing friends to encourage you and critique your work with keen eyes. 3.) Harden your hearts, because you will get rejected. Just know it’s not personal. I would like to finish editing my M/M romance fantasy and submit it, edit and submit at least two more short stories, and start editing another LGBT novel. 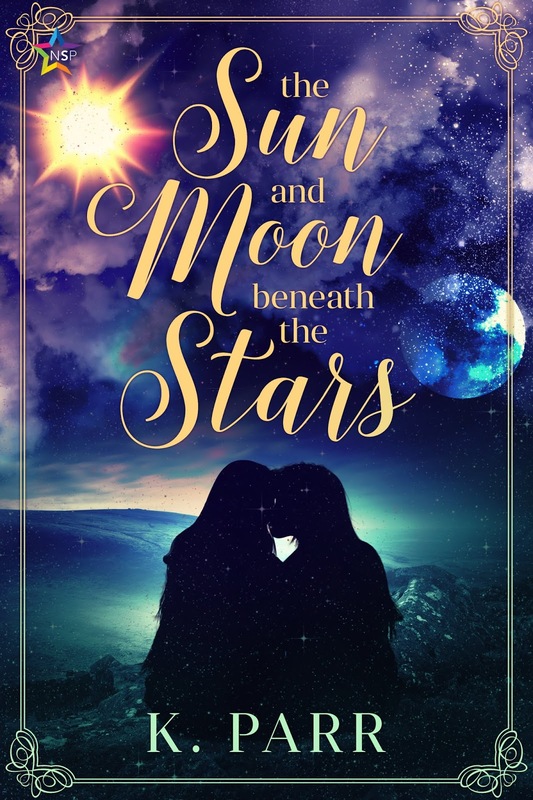 The Sun and Moon beneath the Stars is a labor of love 16 years in the making, as I started writing it when I was 12 years old. It’s a story I have not been able to let go, and I’m so happy that my MFA program at Seton Hill University gave me the last push I needed to complete it. With themes of acceptance, forgiveness, found families, understanding your self-worth, and choosing to be happy, it’s a debut close to my heart. I hope readers enjoy it and fall in love with the characters that have been living in my brain for well over a decade! After being orphaned and forced to work as a palace slave, fifteen-year-old Rasha decides to end her life, but when she plunges a knife into her chest, she doesn’t die. Instead, a strange, icy power possesses her. The last time it took over, someone got hurt, and Rasha can’t let that happen again. But she’s got bigger problems. Her twin brother is alive, yet held captive by Solaris, a powerful sorcerer. When Rasha runs into Adriana, the selfish princess she once served, they discover Solaris is a common enemy since he destroyed the palace and kidnapped Adriana’s parents. And with the help of a ragtag group of companions, they might just be able to succeed on their quest…until an ancient evil emerges to wreak vengeance on their world.